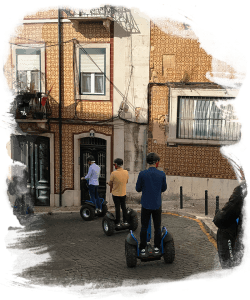 Here, where Lisbon was born, the best Segway experience of your life will also be born. 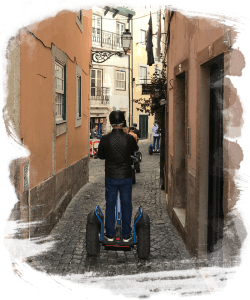 The adrenaline of rushing through the cobblestone streets and cutting tight corners will be acompanied by the sound of Portuguese guitars streaming from the Fado houses. You will come to know Alfama with its 15th century palaces and moorish windows like no one else. This is the Alfama of a thousand languages and cultures and the district of Graça full of sun and unique views. 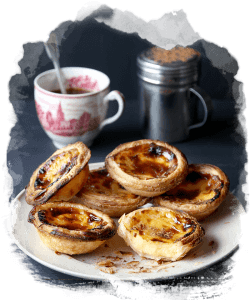 If you want a suggestion of where to have dinner or listen to fado, just ask your guide. He’ll know. 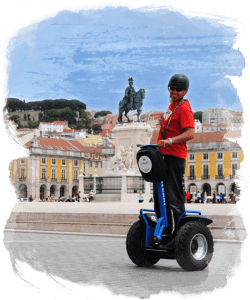 Minimum booking: 2 Segways – From 55€/person – 90min.